Home Westside Messenger What a nut! 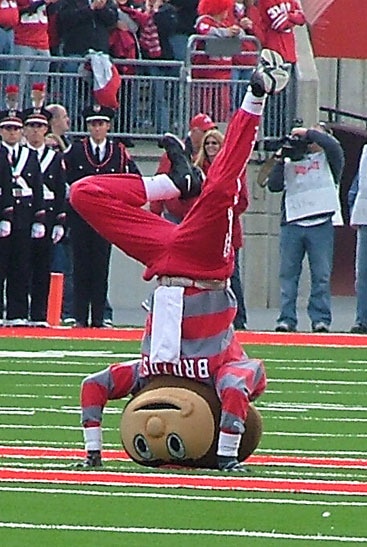 Everyone’s favorite nut, Brutus Buckeye, gets the crowd warmed up before the game. Ohio State University Wide Receiver Brian Robiskie lands in the end zone for the first touchdown of the game. The team came back from a seven-point third quarter deficit for a 38-17 win. Buckeye teammates celebrate in the end zone after Brian Robiskie’s touchdown. The win boosted the buckeyes to a 10-0 season and ended Wisconsin’s 3-game winning streak at Ohio Stadium.